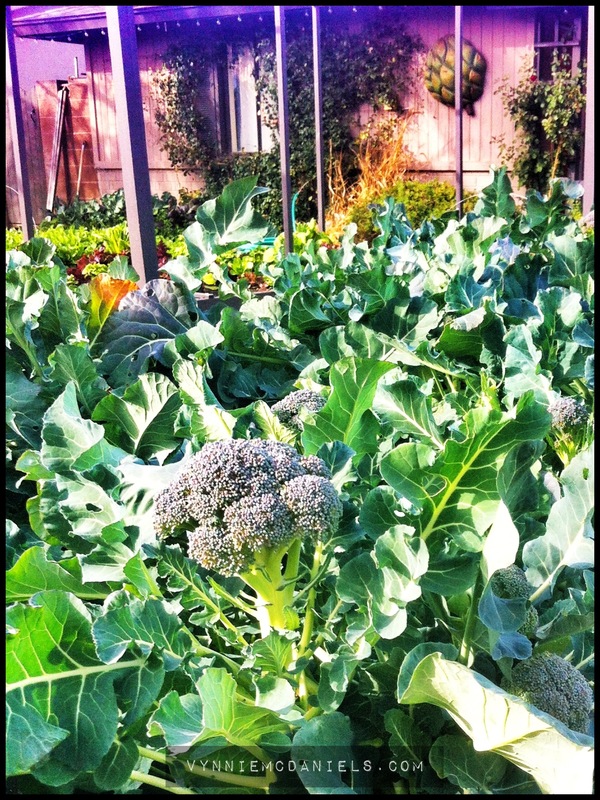 I love growing broccoli. It’s one of my most successful veggies in my garden. I’m sure many out there have a list of “what goes wrong” with broccoli. Now that planting season is upon us, here is my list of things to do right so you broccoli never goes wrong. First of all, a healthy plant will naturally hold up to pests, so many of my gardening practices are structured around what to do to keep my plants healthy. Plant broccoli in fertile soil that is packed well. Often, the soil in planting beds is too ‘light and fluffy’ allowing excess air in the ground, which dries out the soil (especially here in Phoenix). Be prepared to stake your broccoli. These veggies grow big and tall and get top heavy. Water regularly. Irregular watering will cause the plant to stress making it susceptible to pest. Fertilize mildly and regularly. I make a quick batch of compost tea every-other weekend and I hit my veggies good. Lastly, here’s the super deal – My secret to successful pest-free broccoli growing is in the design of my planting layout. (Now ya know for next time.) 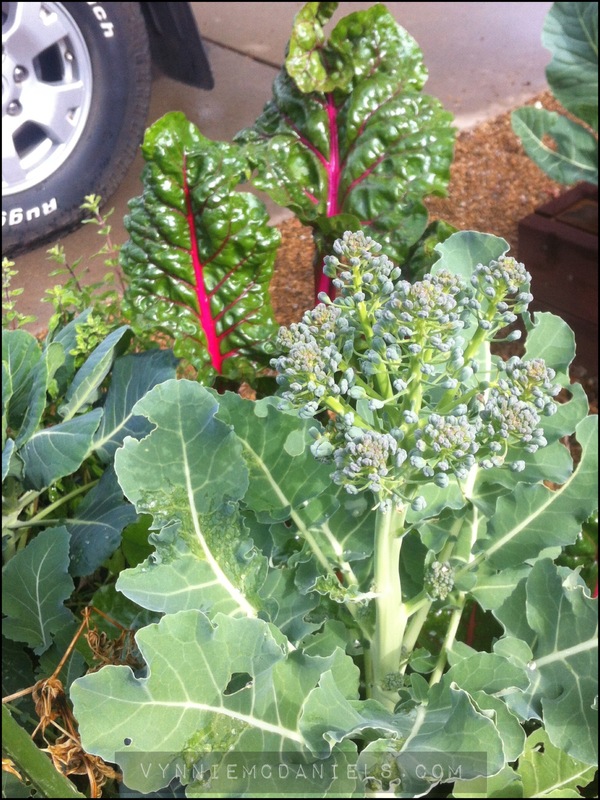 Within the same bed as the broccoli is chard, peppers, lemon balm and marjoram. The chard acts as a hedge, which blocks most wind-traveling pests, like aphids. The peppers are fairly pest resistant, so it isn’t attracting anything. The lemon balm and marjoram are super pest repellents (and they happen to smell really nice). My frontyard raised bed with broccoli, chard, marjoram, and peppers. In another planting bed only 6ft away, I have lettuce that is covered with aphids. But they are in an open bed with only lettuce. 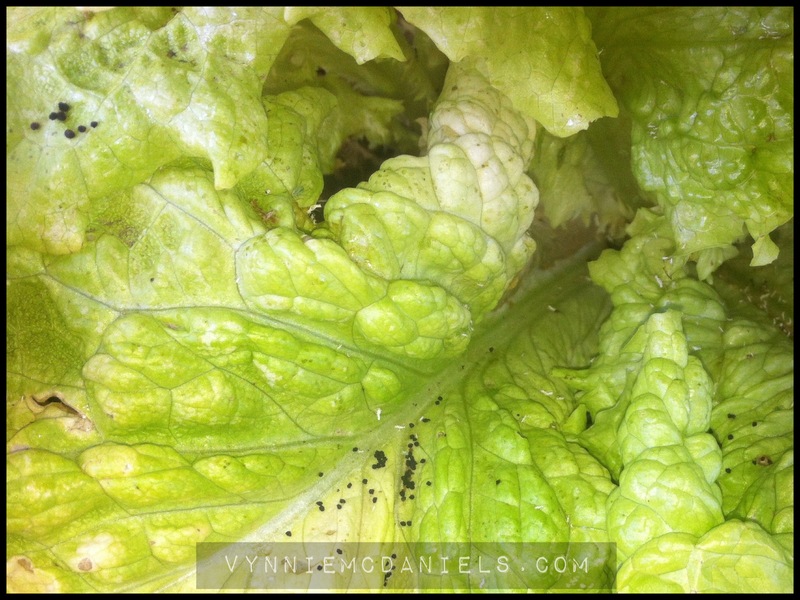 Aphids camped out in the lettuce, and signs of caterpillars. Even though I may get a few caterpillars on my broccoli leaves, they do very little damage. 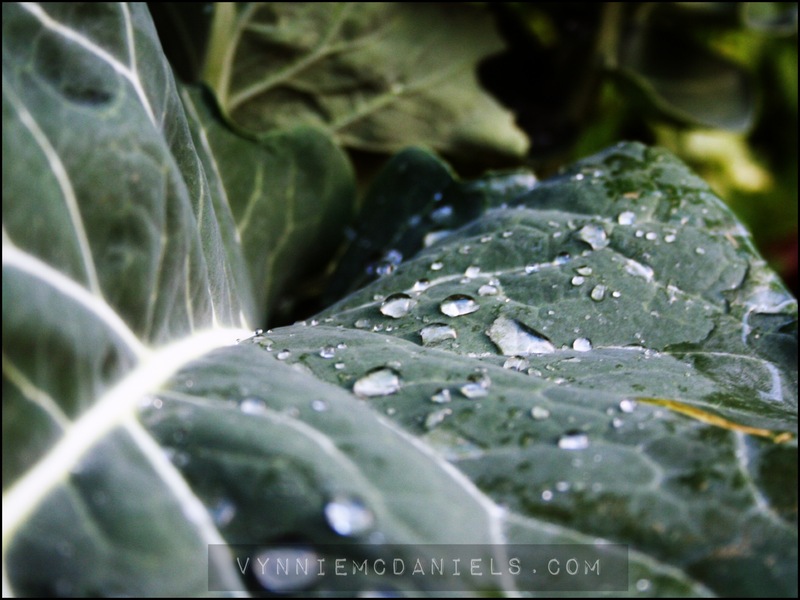 I use the leaves for juicing or chopped up in a vegetable soup. So don’t just think of broccoli as the floret heads. You can eat the whole plant. But, when I do notice the occasional wave of aphids, I just give them a rinse with the garden hose and go on with a smile. This entry was posted in Grow It and tagged Friday Feature, organic gardening, Starting Your Own Veggie Garden, veggie gardening. Bookmark the permalink. THANK YOU!! I never saw the above comment, though I did read the post when you published it. And, yes… now it’s too late for broccoli this year, but in the fall, I will definitely follow your suggestions. Karen Joy – this one’s for you!